Helping to bring out your inner archivist (or conservator)! We say goodbye to our fantastic intern, Aline, today. She’s spent the last ten weeks with the LHSA team, and they’ve flown by! Although Aline’s time was focused on our case note cataloguing project, we made sure she got lots of other, more general, experience to help her future career in the archive sector. Here’s Aline giving a presentation yesterday, where she told Centre for Research Collections colleagues what she had learnt during her internship. If you follow us on Facebook, you might recognise this picture from yesterday’s post! Whenever one of our internships comes to an end, we take stock and look at what worked and what didn’t, so that we can make the next internship we offer even better. I’m pleased to say Aline had lots of positive things to say about the programme we organised for her, and about the kind of teaching and guidance we provided for someone interested in learning more about the principles that govern archival and conservation activity. In the last week Louise and I have had a couple of interesting opportunities to offer that kind of teaching and guidance in different settings. Louise stayed close to home, taking part in a workshop as part of the European Association for Health Information and Libraries conference held in Edinburgh. This was organised in collaboration with the International Conference for Animal Health Information Specialists and the International Clinical Librarian Conference. It’s an international event and around 250 delegates attended. The Centre for Research Collections offered a workshop to help librarians and information professionals get to grips with what it means to be an archivist, and how archive collections can be used for research in the health-related subject areas the delegates are interested in. I was in London, at the British Library, teaching part of the ‘Essential Preservation’ course offered in partnership with West Dean College. I gave an introduction to best practice handling and storage of special collections, some background to writing a preservation policy and then a bit of guidance on how to communicate conservation activity and where sources of information and help might be found. While the main aim of a session like this is to help those new to the preservation of rare/unique collections, it’s also a great chance for me to promote LHSA and our services and reflect on our own practices, often through some challenging questions posed by those attending! The Brain Injuries Unit (BIU) set up by Norman Dott at Bangour General Emergency Service Hospital during the Second World War accommodated service men and women from all around the world, including many soldiers, ATS members and pilots from Poland, the USA, Canada, Australia and even Norway. But Bangour BIU also received soldiers from ‘enemy countries’, that is to say prisoners of war from Germany, Italy and Austria. The case notes can give us a great deal of valuable information about them. To begin with, a little information about prisoners of war in Britain during the Second World War might be needed to place the case notes into their historical context. After D-Day, when there was no longer a threat of a German invasion on British soil, many German and Austrian prisoners of war were sent to Britain. At the end of the war, there were more than 600 PoW camps in Great Britain, and as many as 400 000 prisoners from Germany. Strong Nazi supporters, including SS members, were sent to remote camps in the Scottish highlands to be put on agricultural work on farms. Under the Geneva Convention, prisoners of war had to be treated humanely: they were allocated the same food ration as British service men and given access to medical care, which is why some of them were sent to Bangour Hospital. Unfortunately, according to the National Archives, ‘few lists survive of prisoners of war in British hands and there is little documentation which provide biographical information’. This is why any records concerning them, including in the Norman Dott collection, are very valuable. 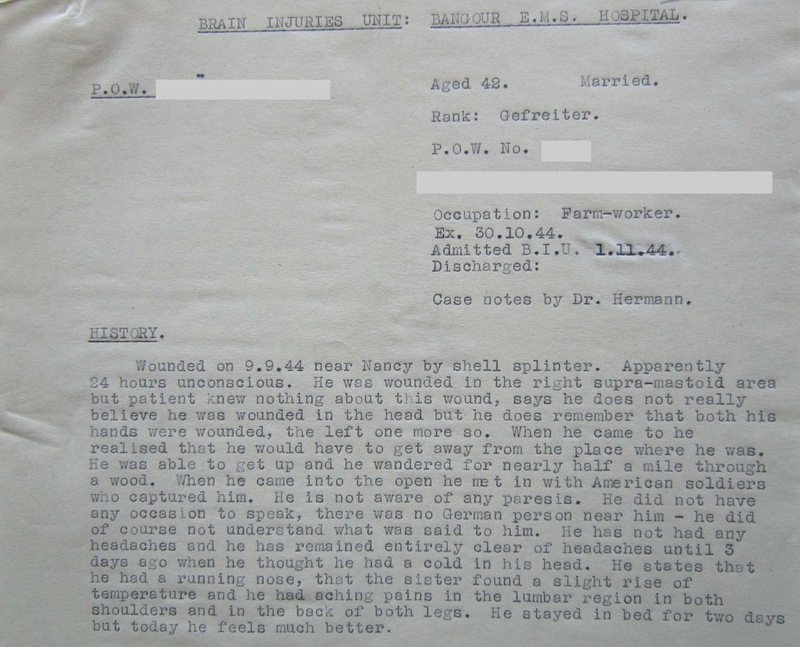 In the case notes I have been cataloguing as part of the project “Cataloguing Norman Dott's neurosurgical case notes (1920-1960)” I have come across 34 prisoners of war - most of them were German, but a few were Italian or Austrian. The last prisoner examined at Bangour was seen at the end of 1947, well after the end of the war: it is not surprising since in Britain the first prisoners of war to be sent home left in 1946, and the last ones in 1949. Each case note gives details about these soldiers’ nationalities, their ages when first examined, their ranks and units in their respective armies, their PoW numbers, their civilian occupations, what they did during the war, and the reasons that brought them to Bangour BIU. Sometimes the PoW camp where they came from is indicated, which is precious information since the documentation about these camps is somewhat limited. Quite logically, the prisoners in Bangour Hospital seem to have come from Scottish camps: two German PoW came from Gosford Camp, Longniddry, in East Lothian, one came from the camp at 123 Dalmahoy, Kirknewton, in West Lothian, and an Italian soldier came from North Hill Camp in Laurencekirk, in Kincardineshire. The records of these enemy soldiers look like any other case notes in the collection, except for the fact that sometimes there aren’t many details about their previous history and family situation. However, it is likely to be due to the language barrier, as shown by this comment about an Italian PoW: ‘this patient has no sufficient English at his disposal to give a satisfactory history’ (PR3.1579). These prisoners seem to have been treated like every other patient, despite the fact that they were ‘the enemy’. 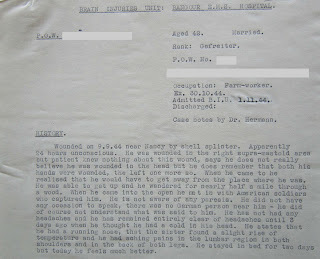 We could even go further and say that some of them seemed quite happy about their situation at Bangour, as we can read in several case summaries: ‘This man is most cooperative and apparently glad to be in a British Hospital’ (PR3.1465), ‘he [another PoW] is very pleased with himself and happy and says that he is extremely well off in hospital here’ (PR3.1478). An Italian PoW treated for a prolapsed intervertebral disc even sought to extend his stay: ‘this PoW gives the impression of deliberately not performing well in order most likely to enable him to remain in the hospital where he is quite happy’ (PR3.1310). Despite the fact that prisoners of war records represent a very small percentage of Bangour BIU case notes, the detailed information they contain represents an invaluable source for genealogists and WW2 specialists. This week's blog is from our Project Cataloguing Archivist, Clair. Since taking over the Wellcome Trust funded project to catalogue Norman Dott’s neurosurgical case notes (1920-1960) I have been getting straight down to ‘cataloguing’ business. However, I have also been inclined to brush up on my Dott facts and histories which help to contextualise the significance of the c.26 650 case notes - as a collection it has huge research potential. 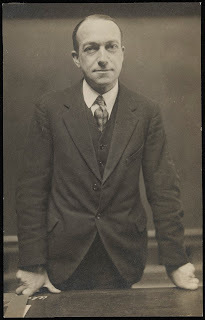 My predecessors, LHSA interns and volunteers have already provided me with some excellent research on pioneering neurosurgeon Norman Dott and the activities of his medical department in Ward 20, at the Royal Infirmary of Edinburgh (RIE) (much of which you can find in our past blog posts!). This week I have decided to highlight a few of Dott’s medical connections with other pioneering and famous Edinburgh surgeons, many of whom I have had fun looking up in our photographic collections. It is interesting to see how Dott’s personal and professional life was influenced by other medical greats. First up is Sir James Learmonth (seen above smoking the pipe). I wanted to find out more about him because he often appears in Dott’s case notes as a physician that his patients would be referred to for extra consultation. As well as being called upon to treat Dott’s patients, Learmonth was appointed Regius Professor of Clinical Surgery in 1946, meaning that he could be called upon to treat the King, George VI, particularly on his visits to Scotland. 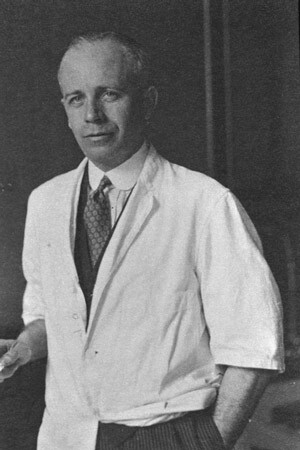 In 1949 Learmonth did have to treat the King’s vascular disease, performing a lumbar sympathectomy on his right leg. Throughout his career Learmonth held many professorships in surgery at the University of Aberdeen and the University of Edinburgh, his papers of which we hold at LHSA. Born and educated in Edinburgh and after obtaining his medical doctorate in 1903, Traquair practiced as a GP in South Africa. On his return to Edinburgh he devoted himself to ophthalmology (diseases of the eye) and held the Ophthalmic Surgeon post at the RIE. Traquair’s contribution to neuro- ophthalmology was much valued by Dott, who was noted stating that Traquair was, “a man gifted with a powerful intellect…a man exemplifying scientific integrity and comradeship, he was recognised and respected as an acknowledged authority on…visual aspects of neurology throughout the world”. 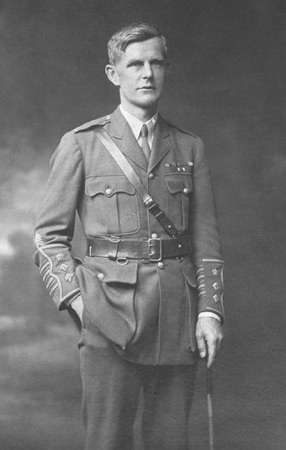 Possibly the man to thank for determining the future career of a young Norman Dott, Wade was innovative in the field of urological and prostatic surgery, as well as serving as a military surgeon during the First World War. In 1909 Wade was appointed Surgeon to Leith Hospital and it was through this work that he came into contact with 25 year old Norman Dott, after a motorcycle accident left Dott in Wade’s care. Although Dott had suffered multiple fractures in his left leg, Wade decided not to amputate. Had the decision gone the other way, it could have placed major restrictions on the development of Dott’s future career in neurosurgery. Dott had his fair share of time in hospital as a patient. Through these experiences, it has been argued that they shaped Dott’s compassion for his own patients – a compassion that shines through in the case notes. Sir Walter Mercer, Surgeon at the RIE and contributor to the development of speciality care, performed a leg shortening procedure on Norman Dott. 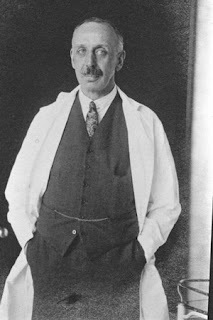 Finally, one of the great Edinburgh surgeons of the twentieth century, Sir David Wilkie, was instrumental in the formation of Dott’s famous Neurosurgical Department on Ward 20 at the RIE. Wilkie provided Dott with adult beds and facilities that had previously not existed for the practice of adult neurosurgery. Wilkie advocated the importance of experimental research in surgery and looked towards science-based surgical thinking. These foundations provided Dott with the facilities to embark on his pioneering career in surgical neurology. Macintyre and MacLaren (eds. ), Surgeons’ Lives. Royal College of Surgeons of Edinburgh: Edinburgh (2005), pg. 174.